In the Summer 2011 issue of the club newsletter which hit members doorsteps in June 2011, was a colourful A4, 8-page booklet, full of codes to crack, puzzles to solve and clues to follow. To be found around the UK are not one, but three treasure sites. At each of these will be found a buried token. But that's not all, this is a true armchair treasure hunt, and so the major treasures can be claimed either by post or by email. So no matter where in the world you live, you have an equal chance of claiming the treasures. 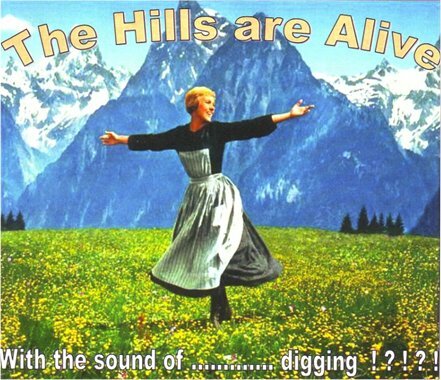 The Hills really are Alive .... with treasure galore !! !